Launched in 2003, this exceptional automatic timepiece from Harry Winston Premier collection is equipped with two highly useful complications: Perpetual Calendar & GMT. Perpetual calendar is programmed up to 28 February 2100. The second time zone can be read off at 6o’clock from a two tone 24-hour night/day counter. This timepiece, with its sophisticated design was produced in a limited edition of 100 watches. 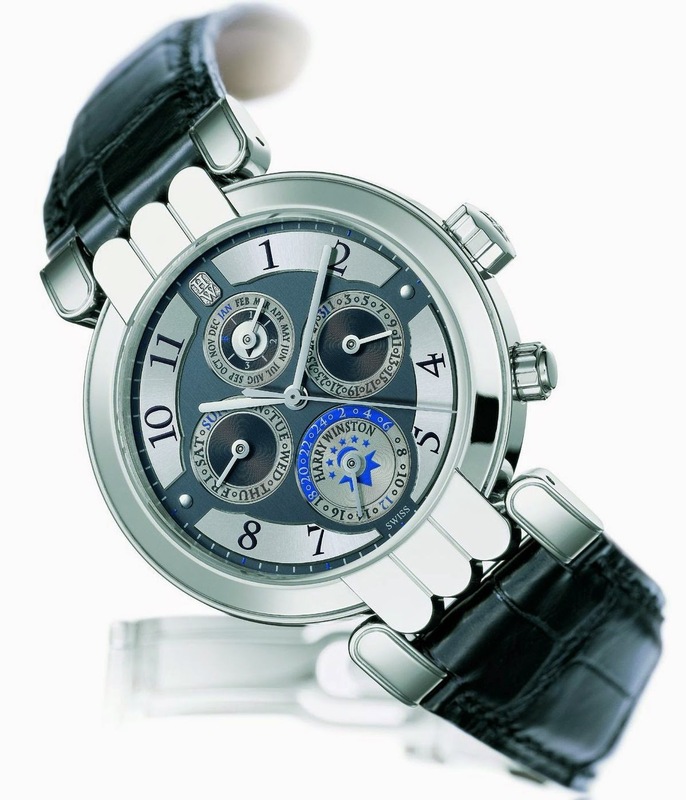 The hand-engraved platinum rotor with its Côtes de Genève decoration can be admired through the sapphire back.